SL10BCC is well underway, with lots to see and do. Given the size of the event, trying to review everything on offer simply isn’t feasible, and some hardware issues at my end mean that I’m not in a position to do the kind of “region round-ups” I did last year. So instead, I’m going to offer some personal picks from what’s on display by way of suggestions as possible stop-off points in your explorations. Also referred to as the main stage or live stage, A’stra is the astonishing and brilliant set-piece by Grendel’s Toady Nakamura and Flea Bussy. And while it may seem like I’ve flogged it to death in these pages already (or that I’m possibly on Grendel’s payroll! ), the fact of the matter is that A’stra is thoroughly deserving of attention – and careful exploration! There really is a lot to see here. 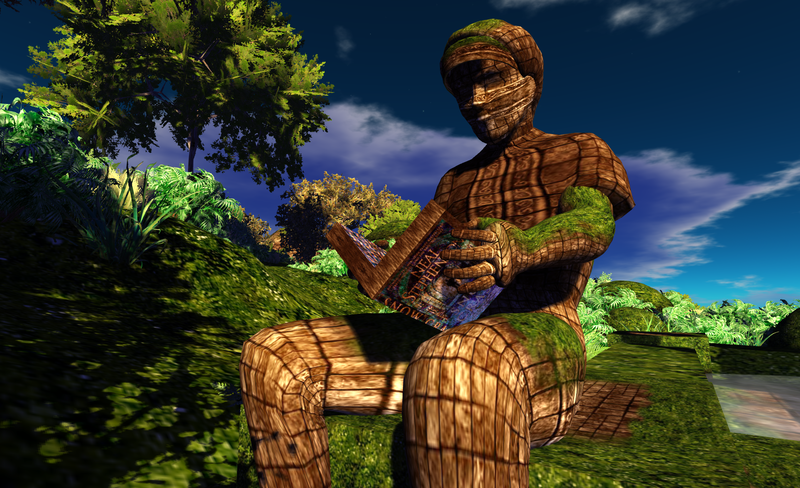 Some of it touches on whimsy, some of it is intended to raise a smile, some of it touches on th history of Second Life – and all of it comes together in the most marvellous way as one of the most outstanding builds I’ve seen in SL. A’stra is not just a place where you can enjoy music through the week – it’s a place to be savoured. I’m not a fan of huge towers at events and exhibitions in-world. Having too-high a build height tends to encourage what seems to be a “war of the towers” – who can go the highest in order to dominate the skyline, which tends to leave me going “ugh!” rather a lot and wishing organisers would say, “Sorry, nothing over 25 metres”. However, every so often in wandering something like SL10BCC, you come across something which proves to be the exception and which clearly demonstrates that building up can be done with style, grace and meaning – and which offers a fascinating take on the theme of “Looking Back”. Gwark Allen’s Space and Time Telescope does both absolutely perfectly. Resembling Seattle’s Space Needle (to my eyes at least), the Space Time Telescope soars majestically overhead, an elegant tower topped by a golden telescope. The elevator is admittedly a bit of a bumpy ride (hardly surprising, given all that is going on), and will take you to an observation platform where you can look out over the vast expanse of SL10BCC (or at least as far as your graphics card will let you before it starts whimpering…), and sit and chat with friends away from the hue and cry below. Or you can ride to the great telescope itself, sit in the comfy chair (yes! the Comfy Chair! ), go to Mouselook and look back through time and space to previous SL birthdays. 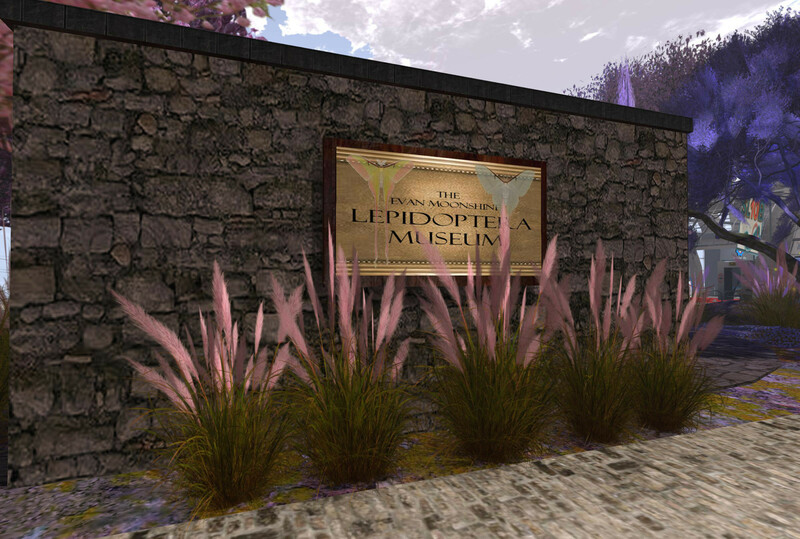 I’ve included Evan Moonshine’s Lepidoptera Museum as it is one of the most charming at SL10BCC, and a demonstration of what can be done to build an attractive, welcoming exhibit which doesn’t mug passers-by or overwhelm them. This is a lovely unobtrusive building which can easily be overlooked in al the surrounding visual noise. 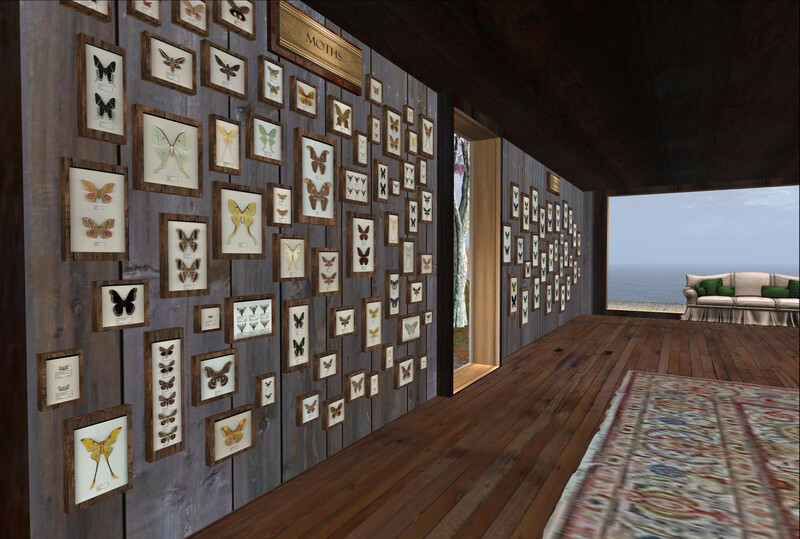 I confess that how it fits the overall theme of celebrating 10 years of SL goes a little over my head, but I couldn’t help but admire the painstaking display of all things butterfly inside. My only regret being that, alas, the cards accompanying the displays remained illegible to me. Nevertheless, a lovely exhibit to drop into. We take getting around SL for granted nowadays. 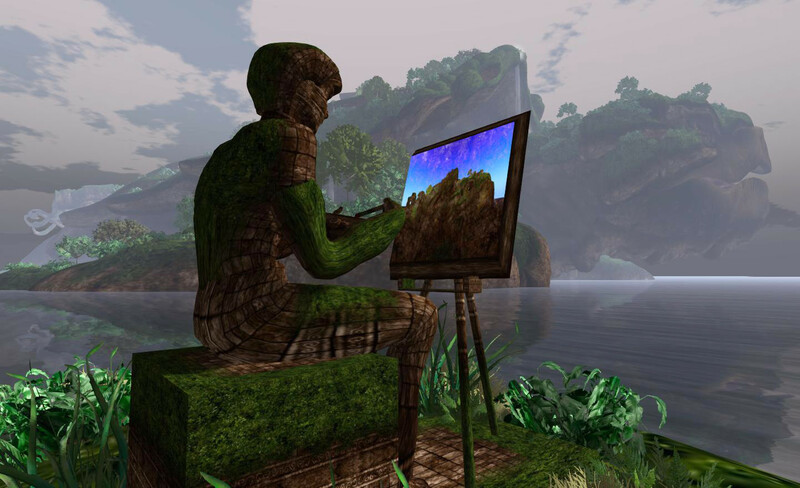 However, far back in the early days of Second Life, direct teleporting was a paid service. Yes, really. Then in October 2003, LL removed the direct teleport capability from SL and replaced it with a network of free-to-use telehubs across the grid. These allowed residents to teleport from one location to the telehub nearest their desired destination, which they could then reach on foot. Built by the Lab, the very first telehubs were actually called “perches” in the official documentation and “hovered” above ground. However, the numbers of residents falling out of them encouraged the Lab to site them on the ground. 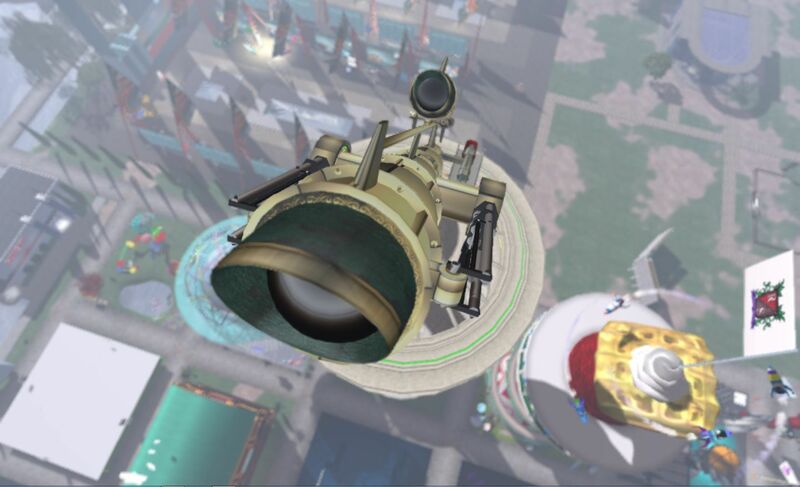 As well as providing a means of teleporting around the grid, telehubs also provided a range of Linden-made freebies for residents and the hope was that they would encourage urban development around them, forming commerce hubs. 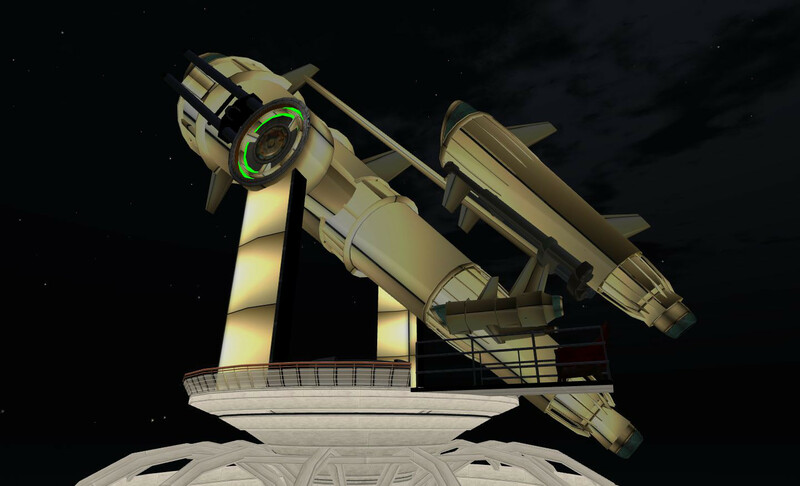 Telehubs were officially phased-out of Second Life in December 2005 (although some remained for private sim owners), when direct teleport was re-introduced, this time free-of-charge. 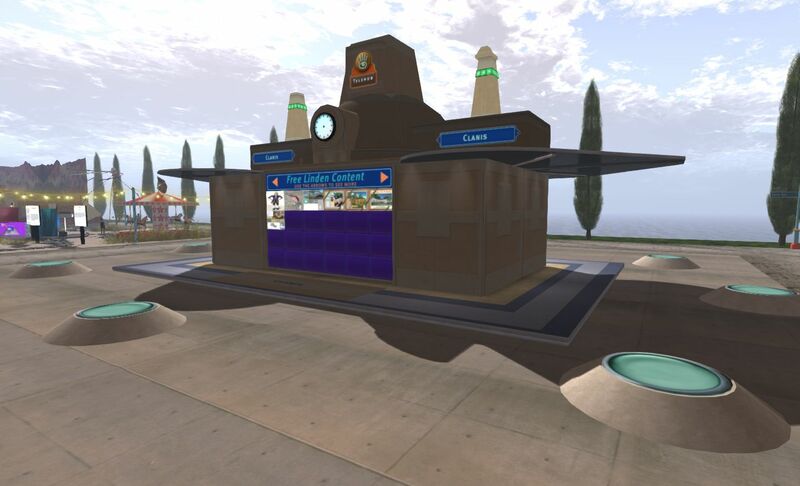 Marianne McCann provides a nostalgic look back at telehubs with this exhibit – complete with the original freebie givers! I confess I’m not a fan of SL breedables per se (although there are exceptions!). However, I have to admit Levio Serenity’s Meeroo stand, while a tad more commercial than I’d perhaps like, raised an instant smile on my face. It’s cute without being gushy, and I love the expression on the “flying” Meeroo’s face! ooo i love the meeroos stand, thanks for reporting on these wonderful stand. looks wonderful, i just wonder, do you use spell check, or does anyone proof read your blog ?? Posts are read and spell-checked. In the case of the former, the 80/20 rule applies. In the case of the latter, sometimes things slip through. Yeppers, you’re a human being 🙂 Hehe. Sorry, I couldn’t resist! Since this has turned into a bad time for me in RL, I’m not in the best mood to appreciate SL10B. There’s a few aspects that would, I think, be more tolerable if I were in a better mood. Other things, well, there may be music and dancing, but I go to the venue to see friends, and then various SL10B stages don’t really have that. There were some beanbag seats at A’stra. One place to sit and meet is the Space and Time Telescope mentioned in this piece. The observation deck (level 2) below the telescope has chairs, etc. There are various other meeting-points around the regions, although finding them is not always the easiest. I hope RL improves for you sooner rather than later. Once they have, maybe we can sort out that Spitfire flyby mentioned a little while back. Perhaps something around September 15th? :).